The Players Championship – Should It Be A Major? The Players Championship is the only significant tournament owned and administered by the PGA Tour. The majors all have different sponsors: The Masters is owned by the Augusta National Golf Club; the U.S. Open by the United States Golf Association (USGA); The Open Championship by The R&A, and the PGA Championship by the Professional Golfers’ Association of America (PGA of America). Created in 1974, Jack Nicklaus won the inaugural tournament. Although it has a short history, it gathers an élite field every year. The tournament runs at about the same time each year with the final round sometimes being played on Mother’s Day. Its permanent home at TPC Sawgrass since 1982 at the Stadium Course. Every tournament has great memories. If one researched enough, they could find enough great shots to fill a book. It could be that it has the richest prize money of any tournament. Or that the winner receives 600 Fed Ex points for winning like the other Majors. Or a field made of the top 30-50 players in the world. Ultimately, this tournament has plenty to offer and is touted as one of the top five tournaments of the year. The greatness of The Players Championship is supported by the facts on many levels. 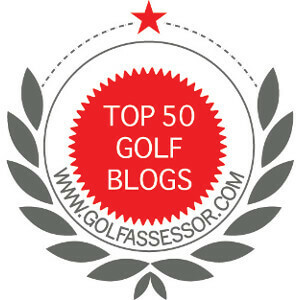 However, what is the real driving force that suggests The Players is the Fifth Major? It is RESPECT. The respect it receives from the players. Viewers see the Players Championship as an élite tournament. The players themselves are eager to try their hand at one of the toughest competitions of the year. As stated by the players, this tournament has proven year in and year out that it is a top-tier professional golf tournament. So I ask you, should The Players Championship finally be given its due and be made the Fifth Major in professional golf? Although I view the Players as prestigious, I don’t think it should be a major. I think adding a 5th major would diminish the majors and also skew history, because then players would get 5 chances per year to win one as opposed to Jack, Tiger, etc who hold the records who only had 4 chances per year their whole career. Great point. The responses are mixed, but the nays have a slight lead. While The Players is a great tournament it should not be a major. The majors are tradition-based entities not tests based on strength of field. Else The Masters would be eliminated. Plus if you revise history and make The Players a major, Sarazen, Hogan, and Player would no longer be career grand slam winners. Just my two cents worth. Great points. I think if the Players became a major, it would not be important to rewrite history. Times change and some tournaments are better than others. I appreciate you points and see the value of your position. Strong candidate though the Players might be, I would think it important to have any additional major outside North America or Europe. Making up, say, the Australian Open to that status would do more to spread the game. Asia is another obvious place where a major would do much in that respect. Just my thoughts on an interesting topic. Cheers, Rob. Very valid. I think as golf continues to grow and the rest of the world expands their golfing presence, I can see the argument supporting a Major outside of NA and Europe. Australia seems to be a good choice, however is that based on the current strength of the Australian field? Just a thought. Your argument makes sense. I’d vote for it. Hadn’t really thought about it though. Right now, I’m more interested in the tours decision not to move tournaments off tRump owned golf courses. Both the Womens Open and the Senior PGA Championship will be on one this year with another scheduled for 2022. I don’t believe that a golf organization can survive without fighting for climate science. If anything kills our game totally, it will be our climate. Long term, it is the only logical way to look at the situation. So I’ll be asking everyone to boycott those tournaments. In fact, I already started on other forums. I am not really sure how the latter part of your comment fits the topic of The Players being a Major. Regardless, you initially said you in favour, so thanks for weighing in.